Summary: Understand this great book of prophecy better by learning about the history and intentions of its writer. 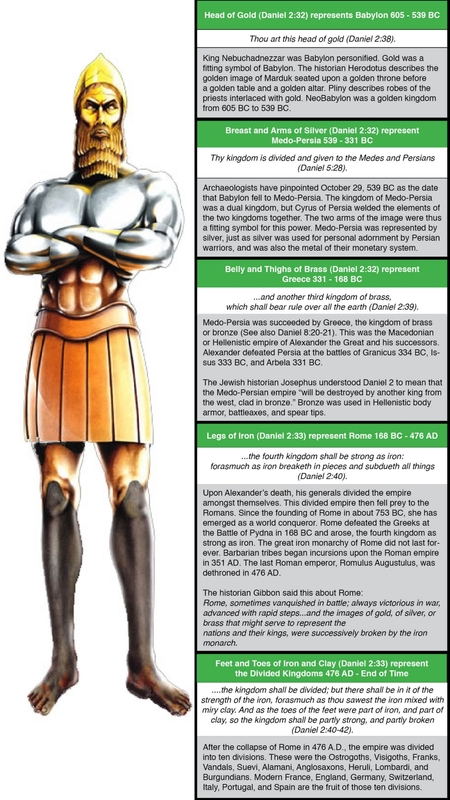 Daniel was born in Judea about 622 BC to an upper-class Jewish family. He one of the numerous nobility of the royal line of David. When Daniel was between seventeen and eighteen years old, Babylonian King Nebuchadnezzar conquered the Jewish nation and took a number of carefully-chosen youth to Babylon to serve in his government. Daniel was one of those captives. Nebuchadnezzar was a brilliant and aggressive ruler. Over the next 43 years he developed Babylon into one of the greatest empires ever built. After his death, a series of incompetent rulers openly defied God and so mismanaged Babylon that in 539 BC—twenty-three years after Nebuchadnezzar’s death—Babylon fell to the armies of the Medo-Persian empire. For about 70 years Daniel served in high positions in both of these empires. The last six chapters of Daniel are a record of the prophetic visions he received from God during his lifetime. These prophecies are some of the most remarkable in the Bible. They foretell the emergence of major world powers from that period to the end of earth’s history, and they mark the exact time of the first coming of Jesus as the Messiah/Christ. The historical section of Daniel sets the stage for the prophetic portion. From the stories of God’s interaction with the rulers of Babylon (Nebuchadnezzar, Belshazzar, Darius and Cyrus), we discover a loving and sovereign God in a great controversy with evil, who works behind the scenes arranging events in the nations of the world to make “all things work together for good, to them that love God.” Romans 8:28. This pervasive theme continues throughout the prophetic section, culminating in a complete restoration of God’s kingdom, people and sanctuary in the earth made new. This commentary is adapted from Amazing Prophecies, © 2010 Family Heritage Books.